Today I have a fun NOT SPONSORED review! So with baby #2 on the way, we have decided to get Eli into a regular twin bed. I thought the transition would go TERRIBLY because….I worry about everything haha. BUT to my surprise Eli absolutely transitioned with ease! So with transitioning to regular twin bed we obviously needed to take some safety measures. My little wild sleeper is all over the bed and I knew that for sure we needed a bedrail. I searched and searched and purchased bedrails and NOTHING fit his bed. Nothing worked great! I don’t know if it is because he has a paneled bed or whatever BUT I got frustrated soooo I researched. 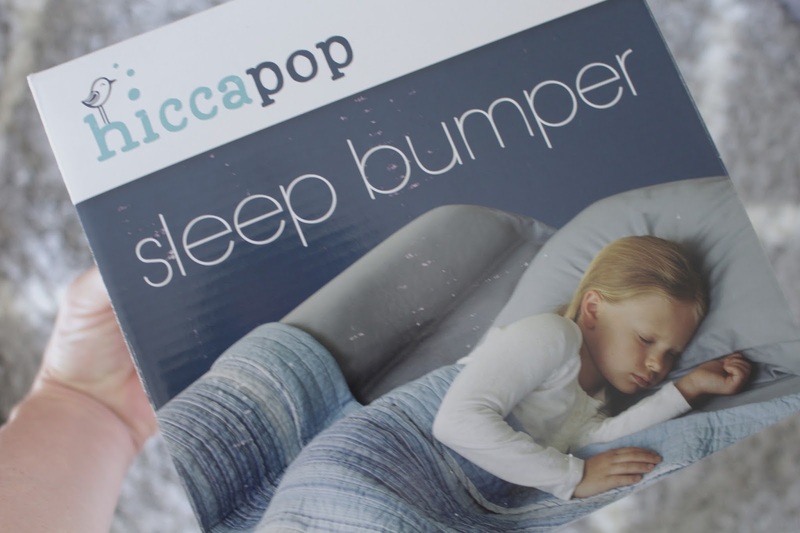 I found on amazon THIS bumper by Hiccapop. I was skeptical but then read reviews! This has been amazing! It is so much more affordable than a bedrail as well. This bumper goes underneath the sheet and mattress pad. It fits most of a regular twin bed and it the full length of a toddler bed. The bottom of the bumper has grippers that grip to the mattress so it doesn’t slip or slide around. The ages suggested are for 2-6 years. Previous Post Dresses for Every Mama ~ Pregnancy, Nursing & Normal Everyday Life!